For the village in Lebanon, see Qana. Kafr Kanna (Arabic: كفر كنا‎, Kafr Kanā; Hebrew: כַּפְר כַּנָּא) is an Arab town, in Galilee, part of the Northern District of Israel. It is associated with the New Testament village of Cana, where Jesus turned water into wine. In 2017 its population was 21,967. Archaeological excavations by the Israel Antiquities Authority uncovered remains dating from the Neolithic to the Mamluk periods. Evidence for a large Early Bronze Age settlement was excavated adjacent to the perennial Kanna spring, overlaying a site dating to the Early Chalcolithic Period. A fortification wall indicates that the settlement was fortified. Kana was mentioned in the Amarna letters, and was known in the times of the Roman-Jewish historian Josephus. On the outskirts of the modern town is the tomb of the Jewish sage, rabbi Simeon ben Gamliel, the Nasi (prince) of the Sanhedrin (legislative body of Ancient Israel), who became president of the Sanhedrin in 50 CE. His tomb has remained a Jewish pilgrimage site over the centuries. To the southward [of Kafar Kannah] is a hill, on the top of which they have built a fine monastery. It has a strong gate, and the tomb of the prophet Yunis (Jonas) [...] is shown within. Near the gate of the monastery is a well, and the water thereof is sweet and good. [...] Acre is 4 leagues distant. Kafr Kanna was conquered by the Crusaders in 1099. During this period, Ali of Herat wrote that one could see the Maqam of Jonas, and also the grave of his son, at Kafr Kanna. This was repeated by Yaqut al-Hamawi, although he only wrote of the tomb as being that of Jonas' father. The name Casale Robert was used by Franks, beside variations on the Arab name. In August 1254 Julian the lord of Sidon sold it to the Knights Hospitaller. Around 1300, Kafr Kanna was described as being a large village, in which lived the chiefs of various tribes. The head tribe is called Kais al-Hamra ("Kais the Red.") According to the chronicler, Al-Dimashqi, the district Buttauf, called "the Drowned Meadow", belonged to the village. Al-Dimashqi further remarked that the waters of the surrounding hills drained into the area, flooding it; as soon as the land is dried up grain was sown. Under the rule of the Ottoman Empire, the village flourished in the 16th century, as it lay on the western trade route between Egypt and Syria. High taxes of different kinds were levied on the busy market. Among other things it traded in cloths, produced in Galilee for international consumption. Public baths and ovens were also taxed. 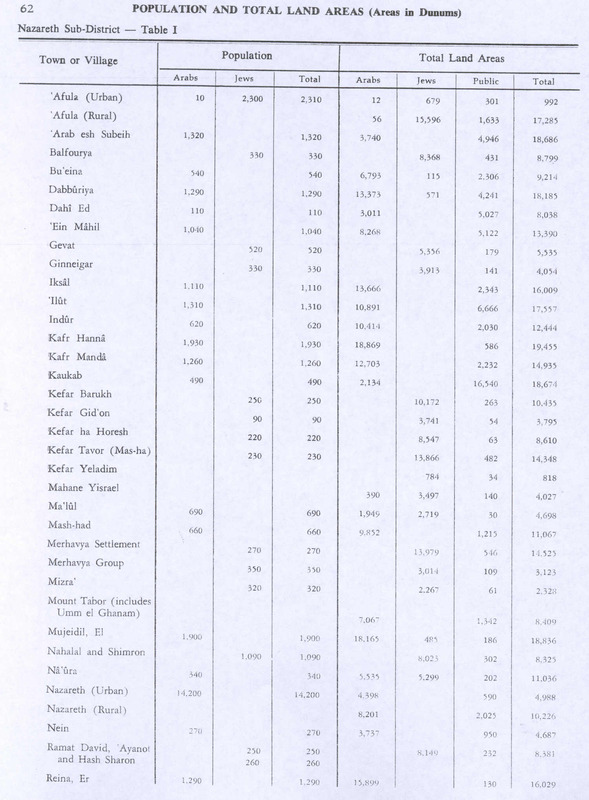 In 1533, Ottoman officials recorded the population as 147 households, and by 1596 (or rather 1548) it grew to 475 Muslim taxpayers (426 households and 49 bachelors) and 96 Jewish taxpayers (95 households and 1 bachelor), making it the sixth most populous locality in Palestine at the time. The villagers paid a fixed tax-rate of 25 % on agricultural products, including wheat, barley, olive trees, fruit trees, cotton, goats and beehives, in addition to occasional revenues and a market toll; a total of 56,303 Akçe. A map from Napoleon's invasion of 1799 by Pierre Jacotin showed the place, named as Cana. In the 1881 Palestine Exploration Fund's Survey of Western Palestine (SWP), described it as a stone-built village, containing 200 Christians and 200 Muslims. A population list from about 1887 showed that Kefr Kenna had about 830 inhabitants; "the greater part Christians." In the 1922 census of Palestine conducted by the British Mandate authorities, Kufr Kenna had a total population of 1,175; 672 Muslims and 503 Christians, of the Christians, 264 were Orthodox, 82 Catholics, 137 were Melkite and 20 were Anglican. 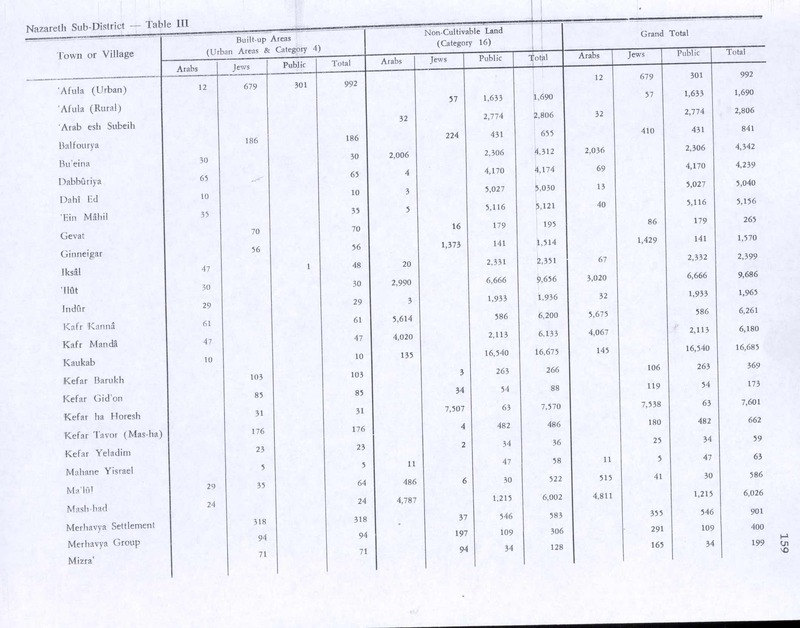 The population had increased at the 1931 census to 1,378; 896 Muslims and 482 Christians, in a total of 266 houses. In the 1945 statistics, the population was 1,930; 1,320 Muslims and 610 Christians, while the total land area was 19,455 dunams, according to an official land and population survey. 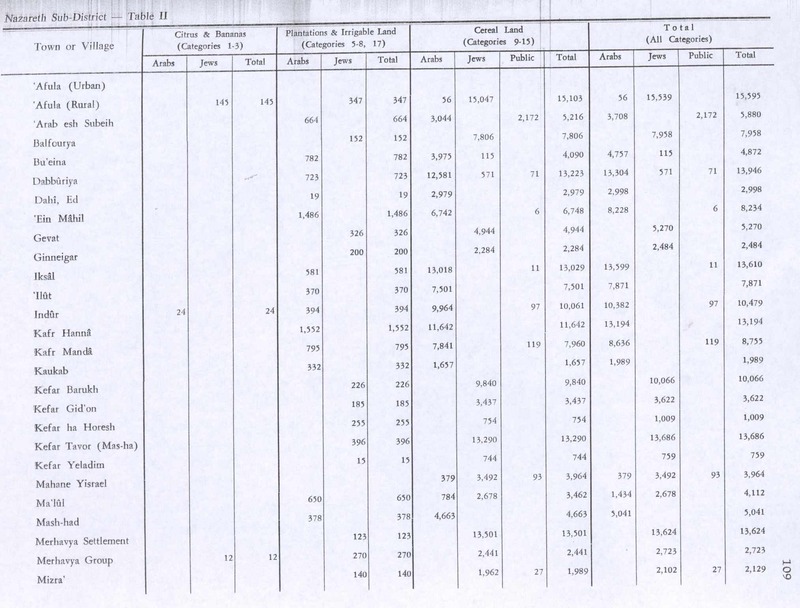 Of this, 1,552 were allocated for plantations and irrigable land, 11,642 for cereals, while 56 dunams were classified as built-up areas. During the 1948 Arab–Israeli War, Kfar Kanna was captured by units of Israel's 7th Brigade in the second half of Operation Dekel (July 15–18, 1948). On July 22, 1948 the two priests, Giuseppe Leombruni (Catholic) and Prochoros (Greek Orthodox), and the Christian mayor surrendered Kanna peacefully to the advancing Haganah troops, ensuring that the population can remain in the village. Kafr Kanna remained under martial law until 1966. On 30 March 1976, a resident of Kafr Kanna, Muhammad Yusuf Taha, was one of six people killed by the Israeli army during Land Day demonstrations. In November 2014, there were clashes for some days because Israeli police killed one Israeli Arab, who attacked a police van with a knife. The police said that they had fired warning shots before shooting him but relatives said he was shot in "cold blood" and images from closed-circuit television (CCTV) showed a police officer shooting at the man while he was backing away. The mayor of the town is Mujahed Awadeh. The main churches in Kafr Kanna are the Franciscan Wedding Church, the Greek Orthodox Church of St George and the Baptist Church. Near the two is the (usually closed) Roman Catholic Chapel of the Apostle Bartholomew (Nathanael). Kafr Kanna achieved local council status in 1968. In 2006, there were 18,000 residents, The population grew to 20,832 in the 2014 census. As of 2014, Christians formed about 11% of the population. As is the case with many other mixed Muslim-Christian towns in the region, the Christians generally tend to live in the oldest part of town. In Kafr Kanna—and in Kafr Yasif and 'Abud, among others—there are two ancient nuclei in the town: the earlier one where Christians live, and another (also hundreds of years old) where Muslims live. Hapoel Kafr Kanna and F.C. Tzeirei Kafr Kanna plays in Liga Alef (the third tier). Beitar Kafr Kanna both play in Liga Bet (the fourth tier). Maccabi Kafr Kanna, which dissolved in 2014, have played at the second level in the past. In 2001, remains of a 4th-century BCE pottery kiln that produced everted rim storage jars were found adjacent to the Kanna spring. Wasil Taha, resident, Knesset member, Balad party. Abdulmalik Dehamshe, resident, former Knesset member, United Arab List. ^ a b c "List of localities, in Alphabetical order" (PDF). Israel Central Bureau of Statistics. Retrieved August 26, 2018. ^ "Tomb of Shimon ben Gamliel vandalized", Jerusalem Post, April 21, 2006 (accessed August 7, 2012). ^ Rabbi Shimon Ben Gamliel's tomb set ablaze, arson suspected, YNet News, November 15, 2009 (accessed August 7, 2012). 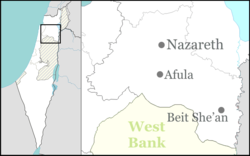 ^ a b "Arab Israeli anger simmers in Galilee after deadly shooting". Yahoo! News. 10 November 2014. ^ "Arab Christians in Israel" (PDF). iataskforce.org. Inter-Agency Task Force on Israeli Arab Issues. June 2014. pp. 1–2. Alexandre, Yardenna (2008-12-30). "Kafr Kanna" (121). Hadashot Arkheologiyot – Excavations and Surveys in Israel. Alexandre, Yardenna (2011-04-07). "Kafr Kanna" (123). Hadashot Arkheologiyot – Excavations and Surveys in Israel. Alexandre, Yardenna (2012-02-19). "Kafr Kanna" (124). Hadashot Arkheologiyot – Excavations and Surveys in Israel. Alexandre, Yardenna (2013-02-28). "Kafr Kanna" (125). Hadashot Arkheologiyot – Excavations and Surveys in Israel. Alexandre, Yardenna (2013-12-31). "Kafr Kanna" (125). Hadashot Arkheologiyot – Excavations and Surveys in Israel. David, Abraham (24 May 2010). To Come to the Land: Immigration and Settlement in 16th-Century Eretz-Israel. University of Alabama Press. ISBN 978-0-8173-5643-9. Le Strange, G. (1890). Palestine Under the Moslems: A Description of Syria and the Holy Land from A.D. 650 to 1500. London: Committee of the Palestine Exploration Fund. Pappe, I. (2011). The Forgotten Palestinians. A History of the Palestinians in Israel. Yale University Press. ISBN 978-0-300-13441-4. "Israel: A Social Report" (PDF). This page was last edited on 13 January 2019, at 21:33 (UTC).